After Shridhar Singh’s plans fell through last summer, he said he had the most stressful vacation of his life. Ever since he was an eighth-grader at Sharon Middle School, Shridhar Singh and his parents have planned his summer activities with one main goal: getting into college. Now a 17-year-old high school senior, Singh has studied electrical engineering at Skidmore College, argued in mock trials at Columbia University, developed apps at MIT, and screened patients for tuberculosis in Thailand. 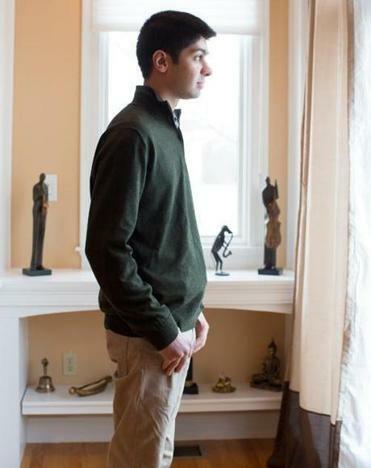 But this past summer, after still more school vacation plans fell through, the National Merit Scholarship finalist with Ivy League dreams mainly hung out with his friends. It was the most stressful vacation of his life. Amid escalating competition for elite and even not so elite colleges, summer has become resume-building crunch time for students whose parents can foot the bill — a season of strategic importance for students trying to distinguish themselves from other students also trying to distinguish themselves. Children are going to $4,000-plus boot camps where they practice taking the SATs, and are spending sunny days inside, learning how to write code. Some parents are paying $275 an hour to consult professional summer advisers, looking for programs they hope will be attractive to admissions officers or at least lead to an inspiring personal essay on the Common Application. With college tuition an enormous financial stress for many families, adding pricey summer programs to the tab is something that’s out of reach for most people, who see resume-building activities as yet another example of wealthy families trying to buy their children advantages. Even for those who can make the investment, with prices that can run from $1,000 for a weeklong day program, to the $10,000 range for longer adventures, parents want to see something beyond selfies, said Diane Borodkin, president of Student Camp & Trip Advisors, in Boston. “They’re not going to spend that kind of money just for their kids to have fun,” she said. 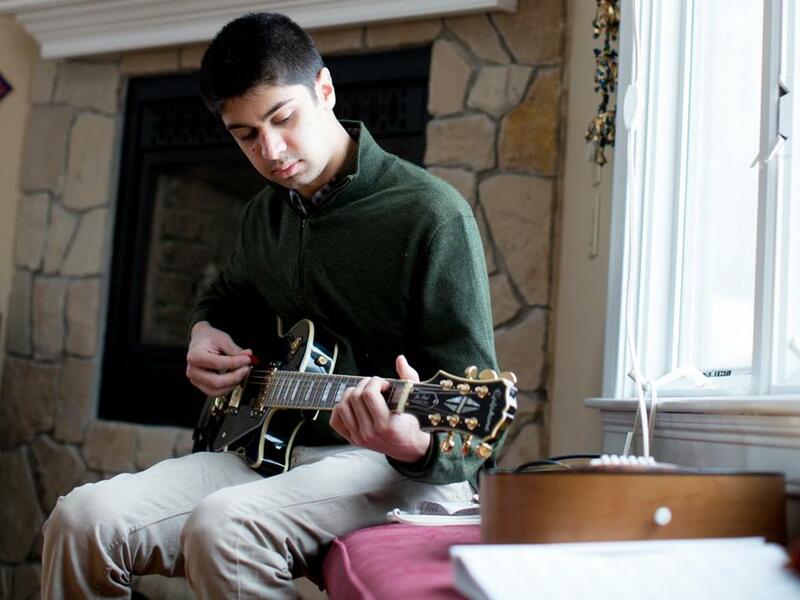 Shridhar Singh has his sights set on an Ivy League education. Summer vacation’s changing role — from a time to kick back to a time to lean in — is part of a larger trend that is putting emotional stress on teenagers, a potentially vulnerable population of kids who find themselves under more pressure to succeed than many adults. McMillan, Howland & Spence, a Back Bay-based educational consulting firm, recently convened a staff meeting to figure out how to remind parents to relax. “We’re starting to advise parents to give the kids some time off,” said firm president Don McMillan. But even as he counsels de-escalation, McMillan points to daunting statistics that show how much harder it has become to get into school than it used to be. At Boston University, 1,742 students applied for early decision for Fall 2014, up 16 percent just from last year. Tufts University received 19,077 applications for this coming fall, a record high, and an increase of 27 percent over the past five years. Northeastern University accepted 32 percent of applicants last year. In 1999, 71 percent of students who applied got in. At MIT, more than one-third of those accepted via early action for the class of 2018 have won national or international distinctions. It is no wonder that LeRoy Watkins, co-owner of Viking Sports Camps, is bombarded by parents trying to burnish their children’s “leadership” credentials. “They say, ‘We’ll pay you whatever, my son really needs to be a [counselor in training] for his college application,’ ” Watkins said. While some families guess what will be attractive to admissions officers, others hire independent professionals like Jill Tipograph, founder of the New York-based Everything Summer, who knows that the summer C.V. is so important that she recently surveyed admissions staffs at 100 top schools to get the scoop on what they’re looking for in applicants. Even as teen programs become more exotic — kids are sailing on Arctic research vessels and learning conservation management in Zimbabwe — Tipograph and others say that fancy locales and pricey opportunities are not necessarily what schools are looking for. She spent one summer interning with a doctor at Massachusetts General Hospital and another as a marine biology camp counselor at the New England Aquarium. In addition to educating a new generation about the importance of taking care of the environment, she was accepted early at her top choice, Duke University. Perhaps nowhere is the focus on getting in more intense than at the two-week College Admissions Prep camps run by Summerfuel , a New York-based firm. At Tufts last summer, the site of one of three boot camps, the schedule included morning SAT-prep sessions and evening college-admissions workshops. The 60 students went home not with trophies, but with polished personal statements and resumes. Meanwhile, as concern over pressure on high school students grows, one of those at the center of the storm, Harvard College admissions and financial aid dean William Fitzsimmons, is worried that traditional school year overscheduling has now invaded July and August, too. Well, that’s easy for him to say. He already went to Harvard.